Accessorise your adventures with the Merino Wool Buff. Just like the Original Buff, but made from pure Merino wool, a naturally soft fibre that provides exceptional thermal regulation. 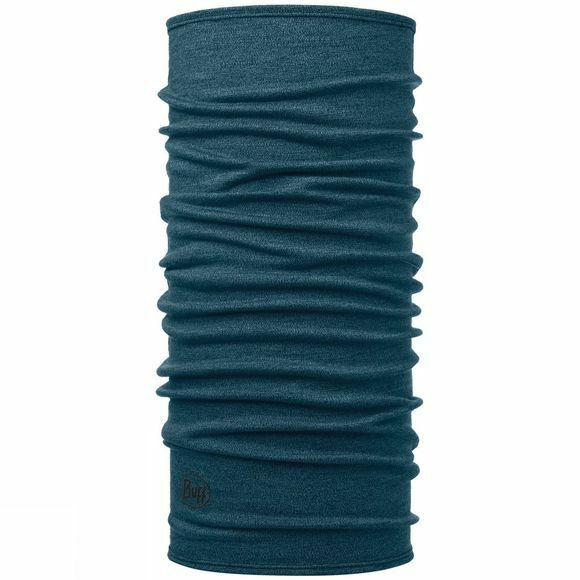 This stretchy tube of fabric is so versatile you’ll want to take it with you wherever you go. It can be worn in a variety of ways; as a scarf, as a headband, as a beanie, to name just three. In the cold, it will trap heat to keep you warm. In the heat, it will wick moisture to keep you cool. Merino wool also contains a natural antibacterial agent, helping to prevent nasty odours and allowing you to wear the garment for longer between washes.